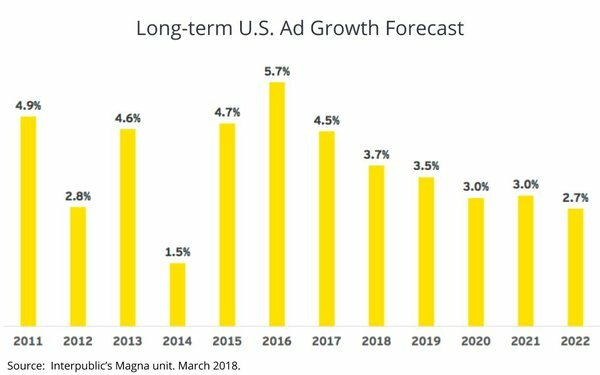 Interpublic’s Magna unit this morning revised its U.S. ad-spending growth forecast for 2018 up by half a percentage point to 5.5%. The release comes a day after Publicis Media CEO Steve King told investors his agency is poised to upgrade its outlook as well, given a stable macroeconomic outlook for the general economy. 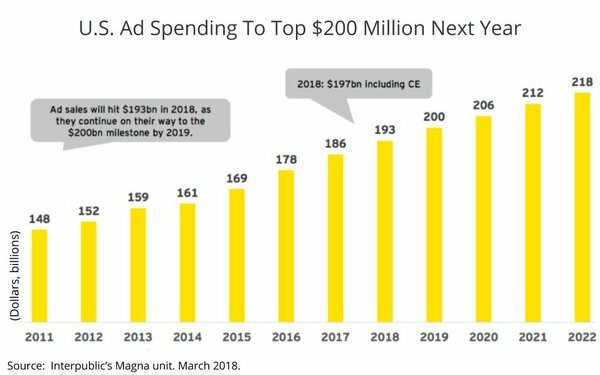 Magna now projects that U.S. advertising will expand 5.5% to $197 billion in 2018. That’s an increase from the figure of 5.0% it projected in its last forecast in December.